It’s hard to remember that just a few years ago we were all screaming for new Frank Ocean music, wondering what in the world was taking him so long. And then he dropped two albums last year and has consistently released great one-off singles in the past few months. And while everyone was busy watching the VMAs Ocean quietly released the new song “Provider” on his consistently excellent Blonded radio show and through his website with a new lyric video. 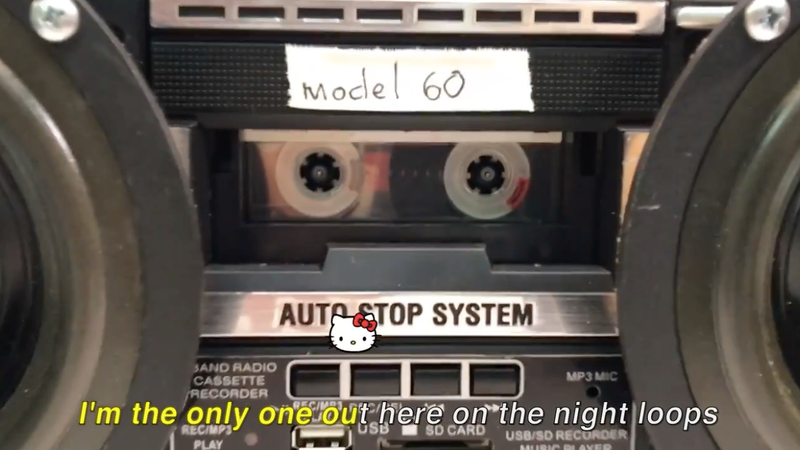 In the video, someone who looks just like visual artist Tom Sachs, whose work featured prominently in Ocean’s Endless visual album, deconstructs a small boom-box that plays “Provider” on tape. And I’m very into the bouncing Hello Kitty head above the lyrics, making for a perfect karaoke-style video. The minimalist song plays like it would have fit nicely on Blonde and personally reminds me of “Solo.” “Tonight I might change my life, all for you,” he sings, while also mixing in lyrical references to Aphex Twin, Stanley Kubrick, Talking Heads and more. And even though Ocean certainly does not owe his fans anything, I am happy to have new music like this from him every few months.